Thanksgiving is a time to remember and be grateful for all of our blessings. 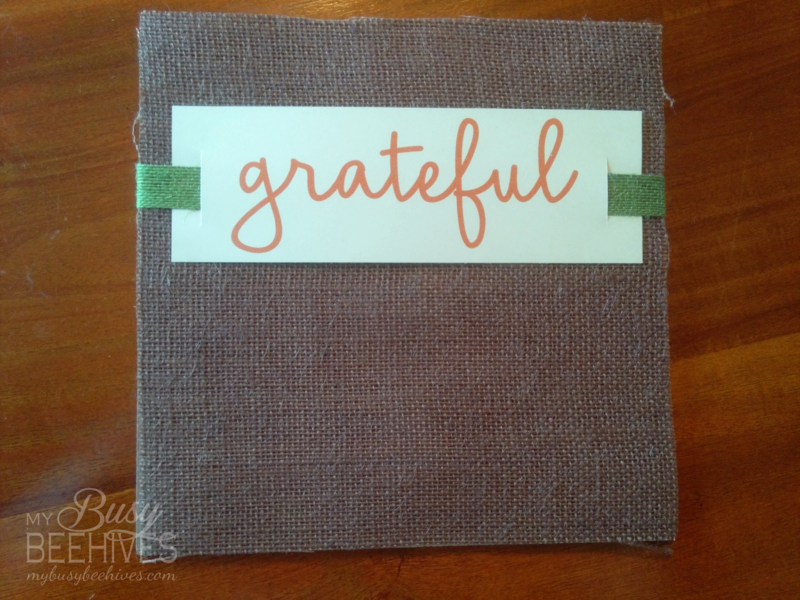 As a family, we spent one of our weekly family nights talking about all of the things we are grateful for. We wrote them on leaves, and stored them in this gratitude box. It sits on top of our piano, where we see it often and remember. It is now my new favorite Thanksgiving decoration! 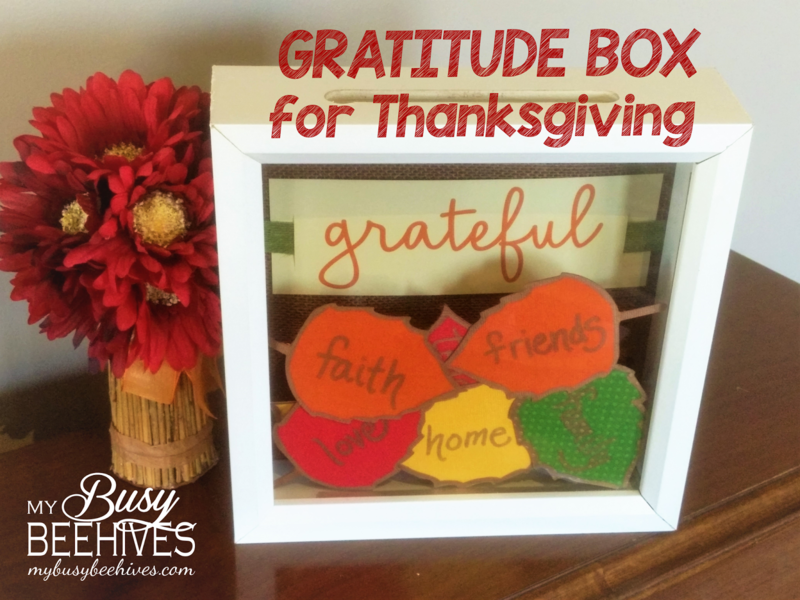 Here's how to make your own Gratitude Box! FIRST: Gather your supplies. 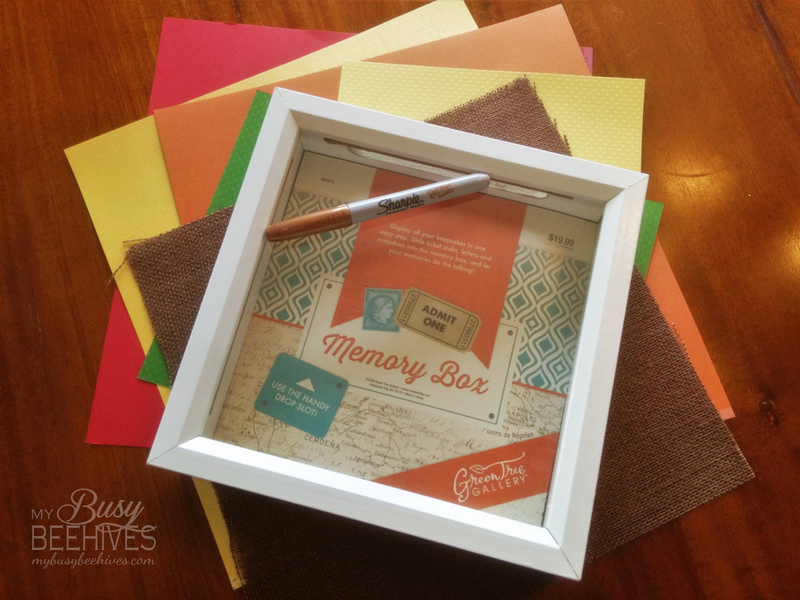 You will need a slotted shadow box, which I was able to find (on sale!) at my local craft store. I also used several sheets of fall-leaf-colored card stock, a sheet of brown burlap (I found it in the scrapbook paper aisle at my craft store), and a bronze metallic Sharpie. I also used a short piece of green ribbon, but it's not pictured here. SECOND: Cut out your leaves. 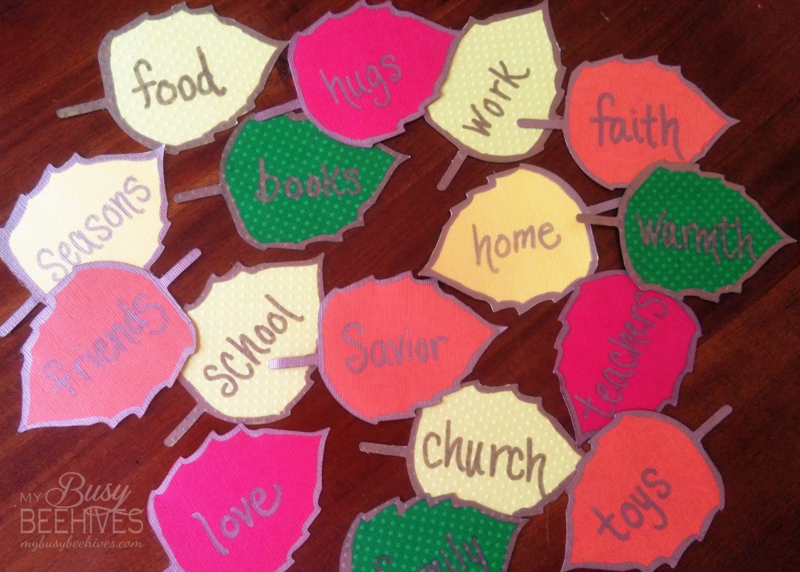 There are many templates you can find to use, or you can use a cutter like I did. Take the metallic sharpie and color around the edges. It adds a little more dimension to your leaves, which is nice. 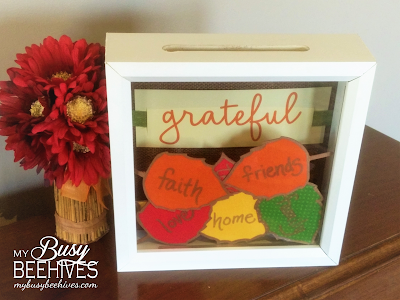 THIRD: Gather your family and make a list of things that you are grateful for. This makes a great activity for a family night. Then write all the things down on your leaves. FOURTH: I took the back off of the box, and cut the brown burlap to fit. I secured it with a little tape. I also printed off the word gratitude, threaded it through a ribbon and attached that also. This makes the backdrop for your leaves. FIFTH: Assemble! 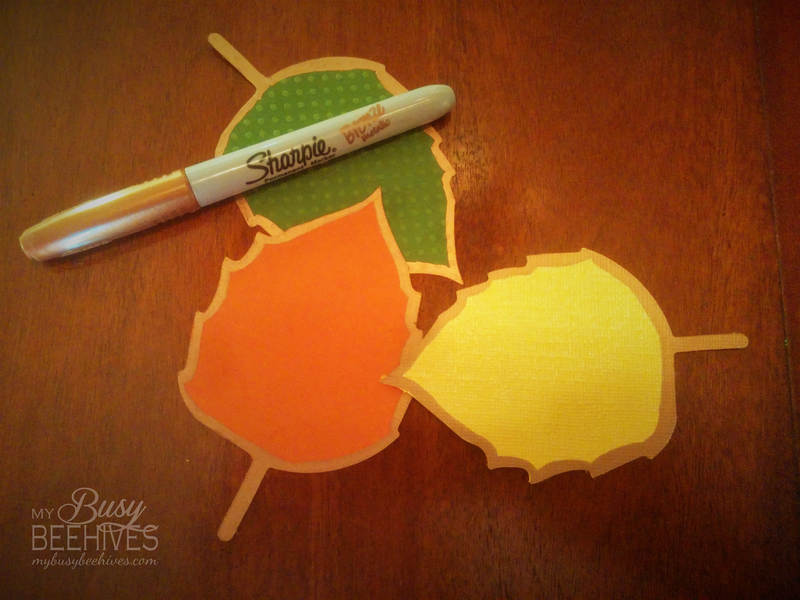 You can just add your leaves straight into the slot and be done! tip: If you want to be able to read a few of them better, pick a few of your favorites and tape them together. That way they won't get clumped up at the bottom, and unreadable. Really fun and bright idea! I love including the whole family in the craft.